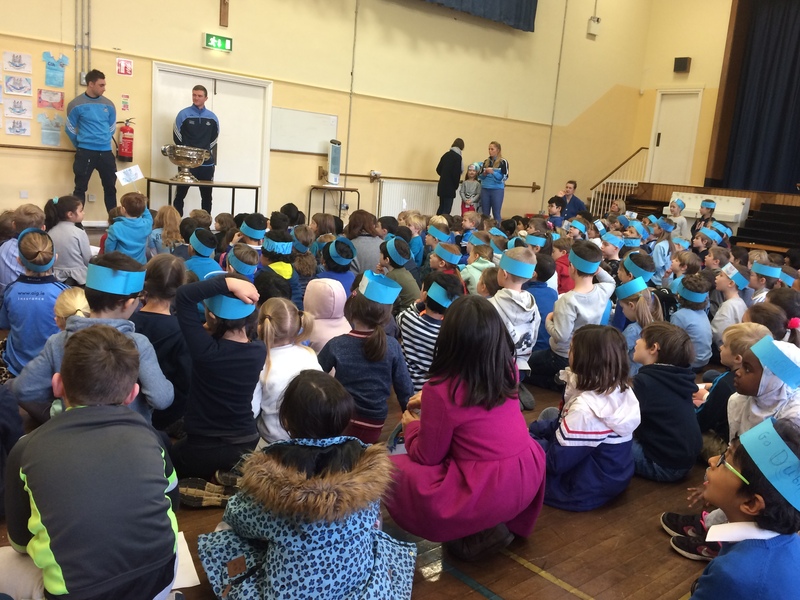 On Monday 18th December, we were delighted to welcome Donal, our esteemed GAA coach from the Dublin team, to our school for our assembly. They brought with them the Sam Maguire cup, which Dublin won in the All Ireland Final in September. We all dressed in blue and made headbands and flags for their arrival. We learned Molly Malone and sang this for the players. Aongus then invited up a number of children to ask the players questions about thier sport, the cup and their training. We were delighted to see the Sam Maguire Cup!